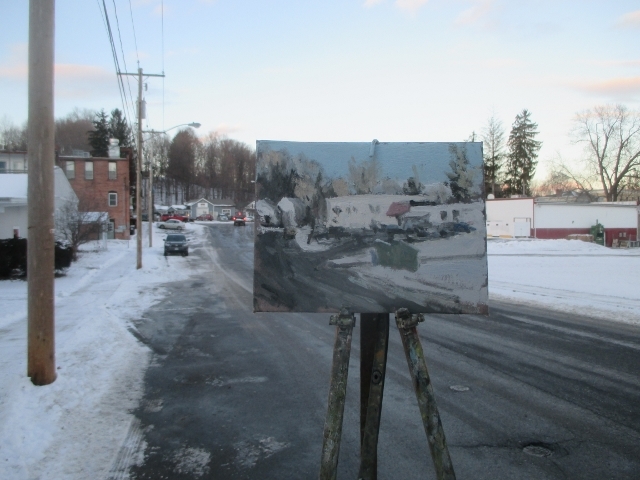 Matt Chinian Painting Blog: Winter is here in the town and in the country! Winter is here in the town and in the country! 20 F mostly sunny, some wind. 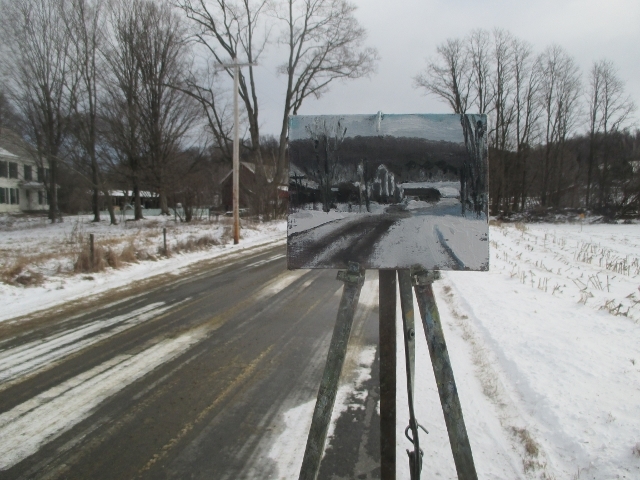 I've painted along this road a number of times. Like so many days I drive around looking at scenes, so many beautiful places, but it still takes me a long time to find just the right one. On a day like today, the wind is a factor so I look for low, sheltered places, and I like to have the light to the side, like this scene, even though I break these rules often. 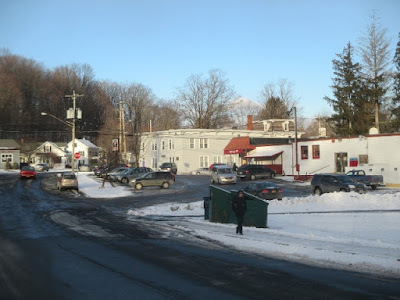 Out of my comfort zone, just down the street from my house, the large building in the center is Ed Levin Jewelry, (I was their handiman many years ago) and the I.G.A., (a.k.a.Shurfine) and it's parking lot. I shop here just about every day, so I should know the light. I guess I'm feeling I'd like to paint what is familiar to me, and this place is familiar to me, and the end of the day light is beautiful, and I see it everyday, would it not behoove me to paint this scene? 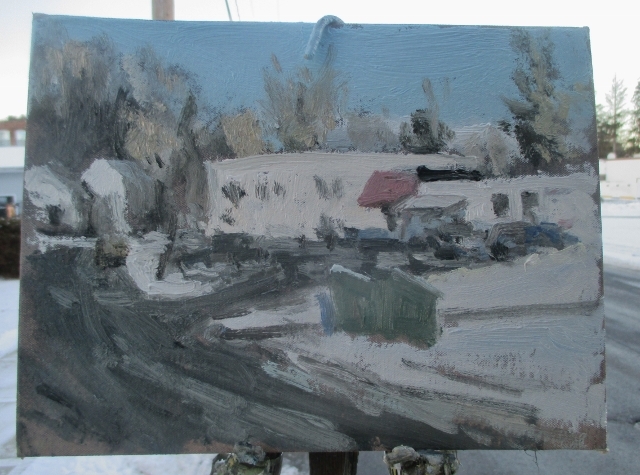 It's kind of a mess, and part of that may be that I need to do more of these: just off main street village scenes, and get their rhythm, and their vibe, and if I do a lot of something maybe one will come out OK. The Money Shot from this afternoon, I had lost my light and the cold got me less than one hour. Hoosic River, Hoosick Falls, NY. 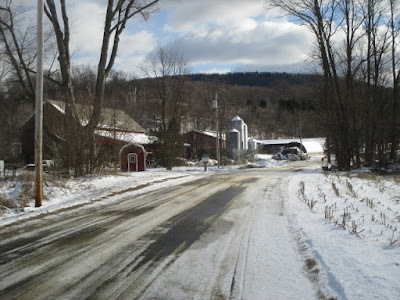 Along the Walloomsac River, North Hoosick, NY. North Park Street, looking South. 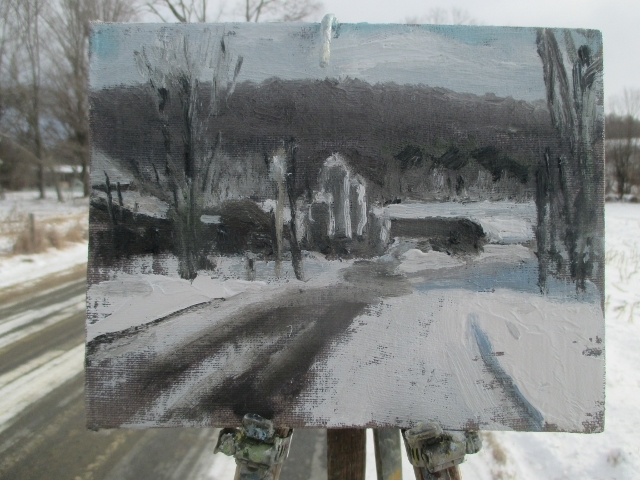 Black Creek Rd. bright and clear. Plains rd. up close and personal.